Infrastructure: Elixir for Long-Term Pension Liabilities? Two primary drivers critically impacting both budgetary considerations and public policy processes for the foreseeable future regardless of revenue and service selection are pension liabilities and infrastructure. One tends to be historical in context while the other is futuristic in its scope. Both pension liabilities and infrastructure face headwinds. Both issues transcend interest groups. Both issues potentially advocate fairness and social equity across a broader spectrum of citizens arguably more so than others. In this continuing series of articles exploring public infrastructure, the combination of unfunded liabilities for both public pension funds (estimates range from US$1-$3 trillion) and infrastructure (estimates ranging from US$1-$5 trillion) conjure up public policy and financial dilemmas constraining even effective discourse. Over the long-term, as difficult as it is to imagine, maybe one unfunded liability poses an opportunity to resolve the other unfunded liability. Can infrastructure be an elixir for long-term pension liabilities? A conundrum is occurring whereby state revenues are increasing while discretionary money for consideration of varied public services is decreasing. In May 2018 in an article published by the Competitive Enterprise Institute, the State of California tax revenues were forecast to increase over the next fiscal year for “project revenues by 30 percent vis-à-vis 10 years ago, but less money for public services.” As the population ages and the ratio of retirees-to-employees increases, additional pressure from pension costs will continue to consume larger shares of budgets leading to increased taxes/revenues inviting further deterioration of infrastructure. Infrastructure resources are fundamental resources generating value when used as inputs into a wide range of productive processes. Outputs from these processes are often public goods that generate positive externalities. Interconnection exists between infrastructure and commons management. If infrastructure, (widely viewed as contributing value to business, government and society) ultimately leads to positive externalities, what positive externalities may be gained by public pension funds investing in infrastructure? Could transaction costs be reduced? Could rates of return over the long-term be generated positively offsetting liabilities? Could a net social benefit be a result? Conceptually, reducing transaction costs by participating in infrastructure at first seems paradoxical. However, considering the size of infrastructure projects serving as public goods as well as size of public pension funds the volume of transactions alone may be reduced if pension funds participated as direct investors into infrastructure projects. In general, pension funds participate in infrastructure through an agent who, in turn, charges a fee for professional management. The argument therefore becomes can infrastructure appeal to public pension funds as a separate asset class and do so more efficiently and with less cost over the long-term by directly investing and managing (acting as principal), as opposed to an agent. Scholarly research shows that Transaction Costs as a term is relatively young. Ronald Coase is credited for originating the concept in his 1937 publication, “The Nature of the Firm.” Furthermore, Coase conceptualizes transaction costs in his 1960 publication, “The Problem of Social Cost.” Nobel Prize winning economist Oliver Williamson articulated the importance and application of Transaction Cost Economics not only in monetary exchanges but also behaviorally. Williamson posited that several “determinants” of transaction costs exist including limited rationality, frequency, specificity, uncertainty and opportunistic behavior. 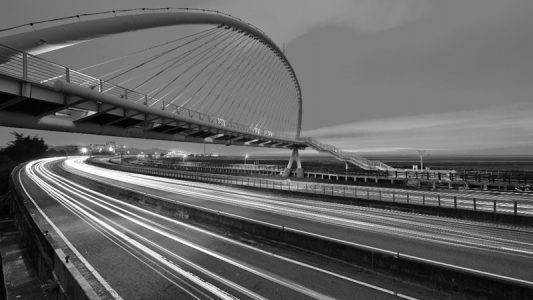 According to the Organization for Economic Co-Operation and Development’s (“OECD”) in a 2011 research report, pension funds around the world have indicated a growing propensity to invest in infrastructure projects. Yet only less than one percent of worldwide pension funds were invested in infrastructure. Domestically, the United States marketplace has seen growth in the number of projects with invested pension funds participating. At the Government Finance Officers Association (“GFOA”) Annual Conference in 2016, Jill Eicher of Stanford University illustrated that 82 percent of US based pension funds did not invest directly in infrastructure; 3 percent considered direct investments and 15 percent invested directly into infrastructure. During this same period, none of the top five worldwide pension funds investing in infrastructure were American. However, several arguments exist calling for stepped up investment by institutional investors into infrastructure, several tailor made for pension funds. Some of the arguments consist of predictable stable cash flows over the long term; matching of time duration between infrastructure projects and the length of retiree obligations, as well as reduction of transaction costs incurred by pension funds in the aggregate. Additionally, the nature of certain infrastructure projects (such as transportation, water and others) in terms of producing revenue on a recurring basis can also be brought forward as a supportive argument for potential attraction to pension funds. Recognition of the boundaries and influence the size and impact of both pension liabilities and infrastructure reveals may serve as the beginning of a prescriptive remedy for public finance and public policy constraints. One Response to Infrastructure: Elixir for Long-Term Pension Liabilities? Well put. I have read that Canadian pension funds are investing heavily in infrastructure. I think you are on to something here.